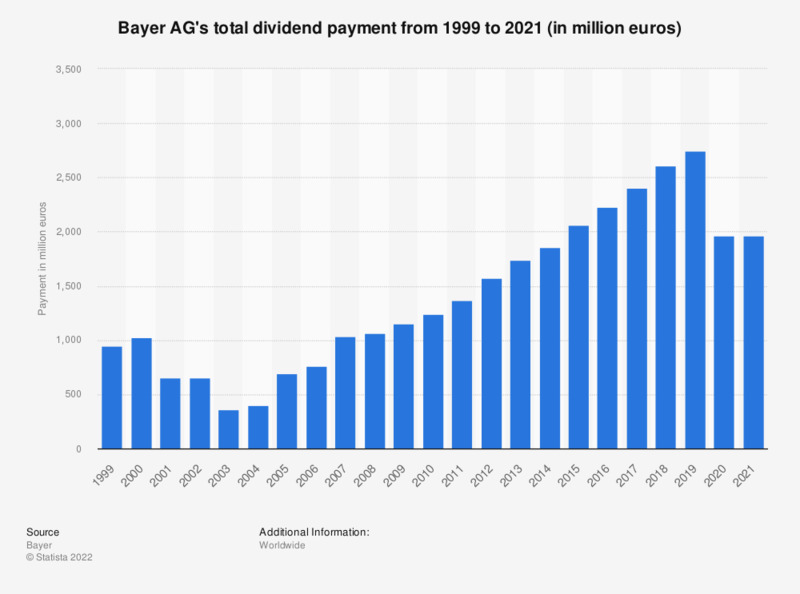 This statistic depicts Bayer's dividend payment from 1999 to 2018. Bayer AG is a chemical and pharmaceutical company, headquartered in Leverkusen, Germany. In 1999, the total dividend payment of Bayer amounted to 949 million euros. The values for 1999-2013 were taken from previous annual reports.